Casper was one of the online companies that helped pave the way for the online market. In 2014-2016 they continued to grow. They have had several rounds of fund raising and even have some celebs involved. They have a universal feel many people will like! Are 300 lbs or more – I would recommend something different if you are a heavier sleeper. 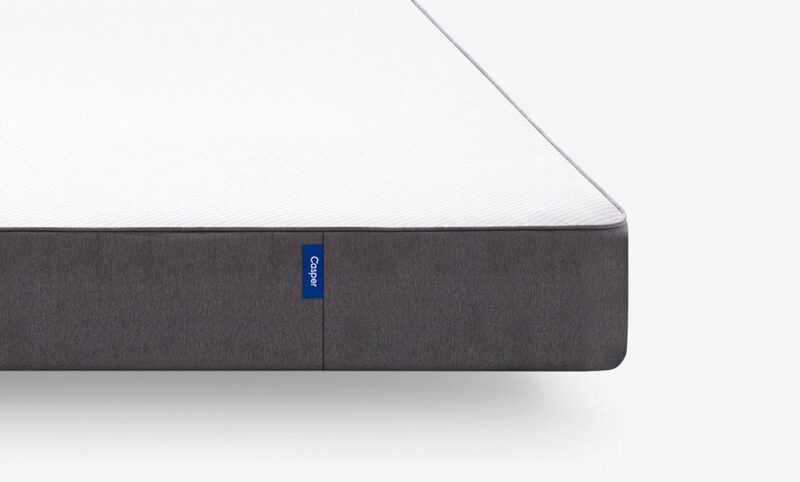 Casper uses a zip off cover that has good elasticity and can be washed. Casper will work on any solid surface. 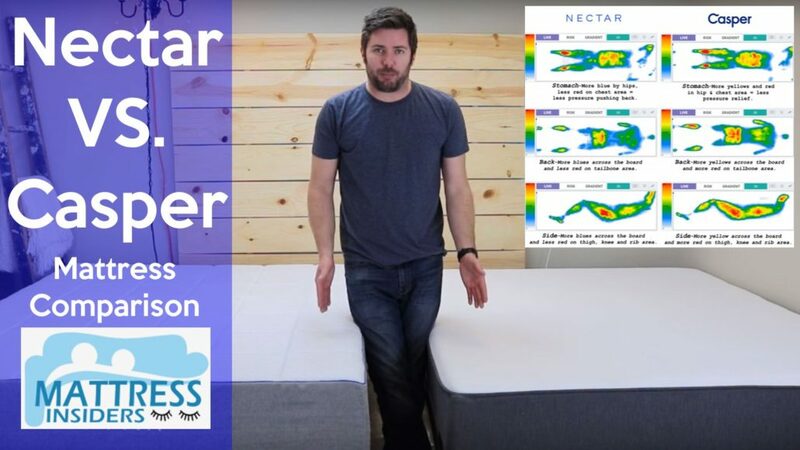 Wood foundation/boxspring, slats, floor or will work great on an adjustable base. 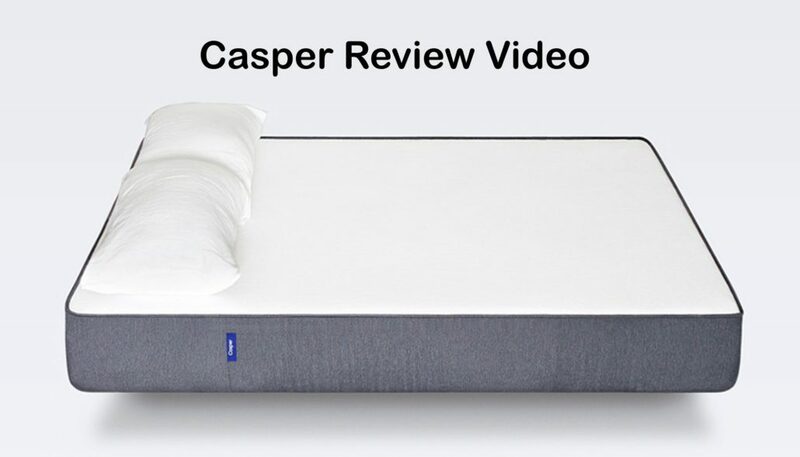 The Casper performed well for me. I am also lighter at 125lbs. 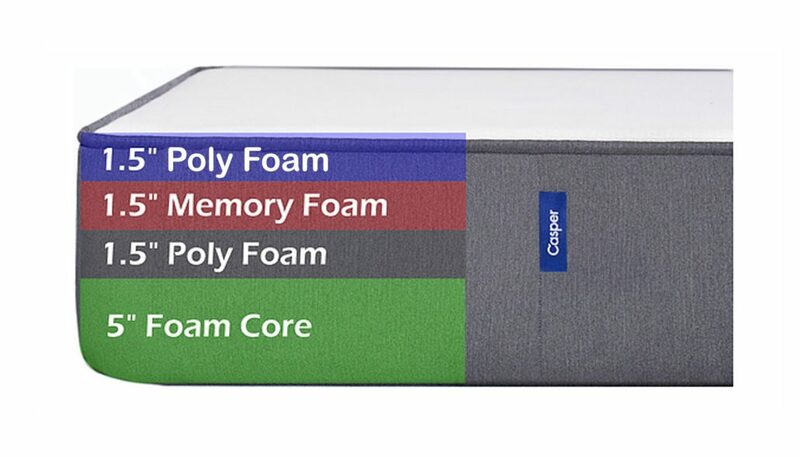 The top poly layer supports your lower back very well and bounces back quickly if you adjust positions. I’m always worried about motion transfer since Ross moves around a lot. 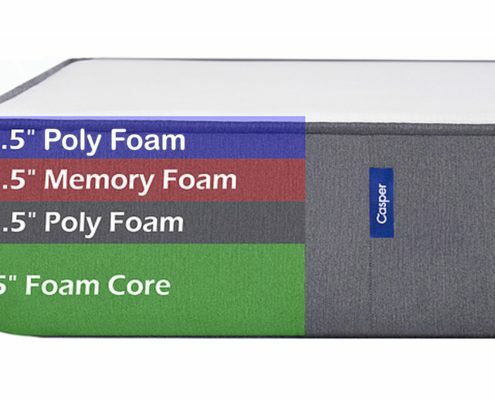 Like most foam beds the Casper has very little motion transfer. 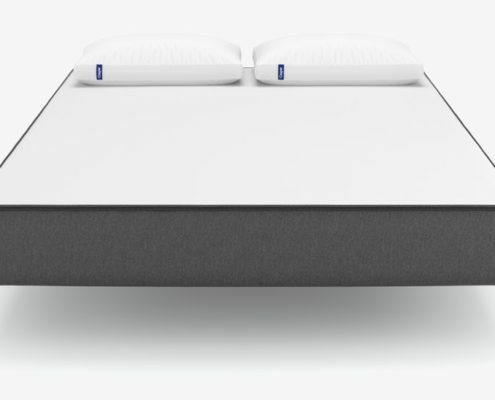 Like Ross said the Ghostbed on paper is more mattress for less money but you still might like the feel of Casper better. FOR ME I liked that it was a touch softer than Ghostbed. 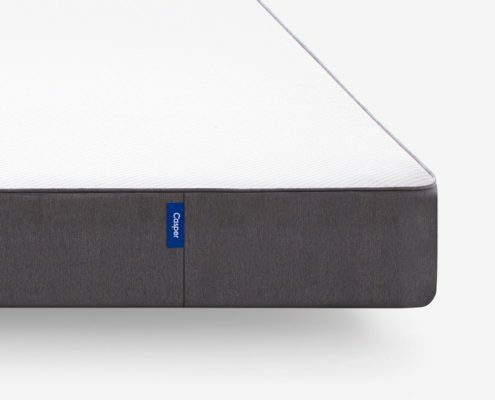 The Casper will work great on an adjustable base. Take $75 OFF any size with our link. Current discount code when checking out appears on top of their page. Click the button on the side. Casper was one of the online companies that helped pave the way for the online market. In 2014-2016 they continued to grow. They have had several rounds of fund raising and even have some celebs involved. Click the button on the side. Current code will appear on top pf their page.